Years ago I heard a famous Modugno song for the first time. It was called Marito in Città and it first came out in 45rpm in 1958, though it had already circulated the year before. The story is a topos of the 1950s: a husband drops his wife and kids off at their long-vacation destination and then returns to enjoy city life unencumbered, with the excuse of a job to do. I must confess that the song stuck in my mind for months and still today I appreciate its unusual skillfulness. It was a particularly successful example of a gift Modugno in particular had for evoking a certain quality in the men of his day without any reticence or rhetoric. In the case of this song, the protagonist’s singular charm is quintessentially masculine and Italian. The man proclaims himself to be rich, a good catch for a woman, a tombeur de femmes, only to be betrayed by his excruciating clumsiness, which puts paid to his dreams of adultery. The music is especially congenial, adding a flavor of farcical sympathy to the story. The irresistibly Italian tune hit the charts, and radios blasted the song provocatively in apartments throughout Italy. Foreign tourists must have been equally struck by the melody that was so typical of Italian tradition, so obsessively repetitive that they probably found themselves humming it as they strolled down the streets of Rome, or as they walked up and down the beaches, paddling. Summer hits have that power, even today. There is confirmation of this in a short story by John Cheever called ‘Marito in Città’, which was published in the New Yorker on July 4, 1964. Some years ago there was a popular song in Italy called "Mariti in Città". The air was simple and catching as a street song. The words went: "La moglie se ne va, il marito sta in città, il povero marito, rimane incustodito," and deals with the plight of married man alone, in the lighthearted and farcical manner that seems traditional, as if to be alone were an essentially comic situation such as getting tangled up in a trout line. Mr. Estabrook had heard the song while traveling in Europe with his wife (fourteen days, ten cities), and some capricious tissue of his memory had taken an indelible impression of the words and the music. He had not forgotten it; indeed it seemed that he could never forget it, although it was in conflict with his regard for the possibilities of aloneness. 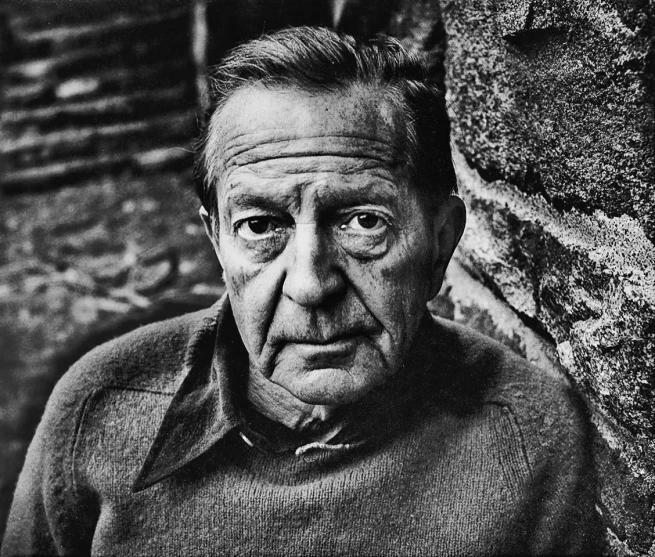 Cheever settled in Italy for ten months, when the song was in the charts. He immediately grasped the pleasingly catching ditty and words, but appears to have missed the irony – almost certainly owing to socio-linguistic differences between the two cultures. What he didn’t manage to appreciate was the forced jolliness of the piece, which, in an Italian audience, triggered a sense of ridicule and sympathy, almost pity, for the protagonist. However, as the story proves, Cheever did understand that the “street song” was farcical, and his protagonist, Mr Estabrook, suffers the same “limitations” as Modugno’s star when he is forced to stay in the city while his wife and children are on vacation. Mr Estabrook starts his solitary vacation by attempting to exploit to the full his sense of being in peace, mingled with a sense of emptiness. He ends up being reduced to the same condition as the man in the song. As Modugno puts it: “La moglie se ne va, il marito sta in città, il povero marito rimane incustodito”. Mr Estabrook is unattended to (incustodito), just like the husband in the song. He loses several pounds, is forced to have the waist of his pants tightened, and ends up throwing himself on the seamstress. His destiny was to seek love–temporarily–from the only woman in those days of solitude who was in a position to take care of him, even though it was only her job to take in his pants. Estabrook ended up as the prose representation of Modugno’s little ditty. Modugno’s hero attempted a fling with a “venetian lady” who sang in a petticoat on her balcony every evening, and on whom he had set his sights. His lighthearted but lusty desire, however, was thwarted by his wife’s unexpected return to the city. In Cheever’s version, the husband’s best intentions – to listen to Bach and spend hours star gazing with his telescope – were thrown to the winds when his primary needs, usually attended to by his wife, got the better of him. On one hand, we have a highly successful pop song, which grabbed the attention of a generation and became the sound track of a film with the same title directed by Luigi Comencini in 1958. On the other, we have a great short story which, despite its brevity, was able to capture a lasting audience, just like that rhyming ditty from Italy. On one hand, again, we have a man who plans his adulterous strategy and ends up with nothing, and on the other, a man with no intention of committing adultery who is taken by surprise by a steamy summer love affair in the empty city, with the pleasing sensation of new and the smell of maple trees. Cheever once wrote that adultery was a commonplace, the subject of most of literature, theater and cinema – “people even write songs about it.” I wonder whether he wrote this because he knew that, in the end, the wives nearly always come back to the city?